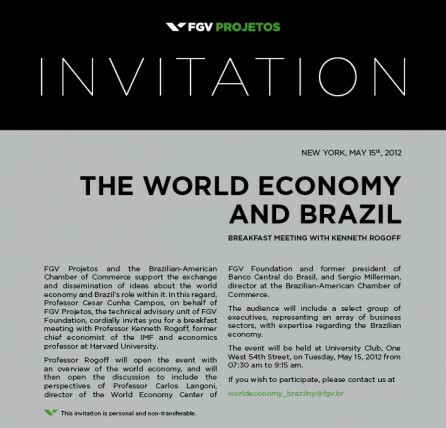 FGV Projetos promoted a breakfast on May 15 in New York to debate the world-wide economy in the view of Kenneth Rogoff, professor of public and economic policies at Harvard University. 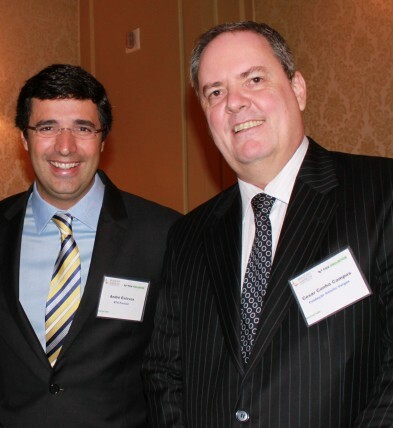 Carlos Langoni, director of the Center for World Economy at the Fundação Getulio Vargas, argued the subject from the Brazilian perspective. About 150 representatives of large companies, organizations operating in the international market and experts, participated in discussions on world policies and economies and presented the current situation of Brazil in this scenario.